Maleficent from Sleeping Beauty is a classic Disney villain for a reason! 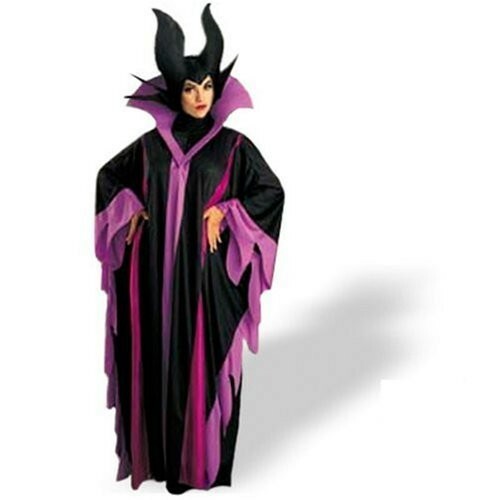 You'll be ready to take your revenge in this great Maleficent costume. The sleeves of the robe are jagged-cut and a purple foam collar stands up behind the neck to give you a classic villainous appearance. The black hood ties beneath your chin and features two large foam spikes on each side of the head and two large horns at the top of the head. This is a truly evil-looking costume for your favorite glamorous evil-doer.